One of the most fundamental truths about Tibetan Buddhism is that life is suffering. This is what Buddha himself has been known to quote, ‘suffering is a universal truth’. Each of us will have many times in our lives when we feel great distress. There will be times when we are upset, in pain, feel hurt or wounded. Circumstances or situations with ourselves, and other people in our lives will cause us to feel sorrow. When it comes to grieving, the only way out is to go through the process. Facing grief without self-judgement and understanding that it is a life force energy vital to our existence and the elevation of our Soul. 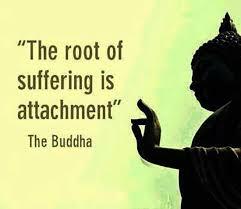 If we were to not suffer grief then we have never been attached, if we have never been attached, we have not been human. Whatever the grief is, it is important to move through the pain. Have faith that one day you will come to a place, where you will feel better able to endure your feelings. Have trust in yourself and your Souls ability to survive and move forward from what it is your working through. Everyone goes through sorrow and misery in their own way. There is no manual or agenda when it comes to sadness and pain. Don’t allow anyone to judge the way you might handle the circumstances in which you find yourself. It is no ones business, and no one will understand quite like you do, what it is your going through. Be kind to yourself as well. Soul work takes us down a very rocky road for a time. Stumble and fall and expect your Ego to get bruised along the way. In fact there may be some bruising that takes a long time to heal, be patient. You are grieving away stuff that has been inside of you for perhaps many, many years. Trust and believe that their is a Higher Power within us all, a power that comes to us when we need it, all you have to do is ask. If you are going through something tough right now, close your eyes, take a deep breath and know that you are supported in more ways than you ever expected. Be good to ‘you’, and move as slowly through the process as you need to.